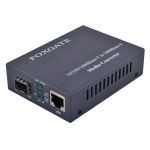 FoxGate OptoNIC 10219: 1000Base-SX/1000Base-LX Ethernet adapter, PCI-E, 1x9 SC/PC Optical transceiver, 2SM, 15 km. 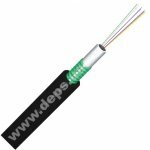 FoxGate OptoNIC 10219: 1000Base-SX/1000Base-LX Ethernet adapter, PCI-E, 1x9 SC/PC Optical transceiver, 2SM, 40 km. FoxGate OptoNIC 10219: 1000Base-SX/1000Base-LX Ethernet adapter, PCI-E, 1x9 SC/PC Optical transceiver, 2SM, 60 km. FoxGate OptoNIC 10119: 1000Base-SX/1000Base-LX Ethernet adapter, PCI-E, 1x9 SC/PC Optical transceiver, 1SM, 15 km. FoxGate OptoNIC 10119: 1000Base-SX/1000Base-LX Ethernet adapter, PCI-E, 1x9 SC/PC Optical transceiver, 1SM, 40 km. FoxGate OptoNIC 10119: 1000Base-SX/1000Base-LX Ethernet adapter, PCI-E, 1x9 SC/PC Optical transceiver, 1SM, 60 km.